Enter an <h1> heading. 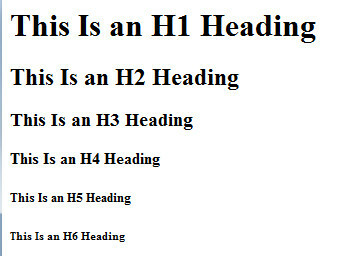 Make five copies and use your editor to find/replace to create a set of headings like the ones you see here. Save this in a folder you create for this file and a soon-to-be growing collection of sibling files.